Congratz To VotoVzla For Winning The 10k Delegation!steemCreated with Sketch. A big shout out to @SteemitBloggers & @Team-CN for putting on an incredible fight to the very last day, and well done to all involved! First of all thank you for making this kind of contest, we are very happy to get this delegation, the community did a great job, it is all thanks to them, all united and that is the beautiful thing. The other communities also want to congratulate them, they did a great job and they are great people. We believe in Steem and now to work more. Thank you, we hope to be in touch with you. Congratz again votovzla! You do a lot of great things for Steem and I couldn't be happier for you. Yeaaaaah, lo logramos, que emoción, muchas gracias por el apoyo, de parte de la comunidad hispana, no encontramos muy agradecidos por todo. Congrats @votovzla on your win. I hope you will put to the best use the 10K delegation. What a good 10000 SP for Venezuela and the whole community, your contest has united many excellent people, people like you are the ones that are needed in Steem. Thank you so much for running this contest and being so generous to delegate 10k SP for a year..
Gracias por al apoyo. Esta delegación se traduce, sin duda alguna, en un apoyo directo a la comunidad hispana, que estamos seguros que @votovlza llevará adelante. Enhorabuena! Thanks for your great contest! Congratulations to @votovzla to win this contest! Even though we didn’t win the contest, but we got more from this contest. Friendship and power of community. We treated each of our members as friend and they fought so hard for us to win this contest. @votovzla and @steemitbloggers are truly amazing community! Because of you guys, we had really amazing race. 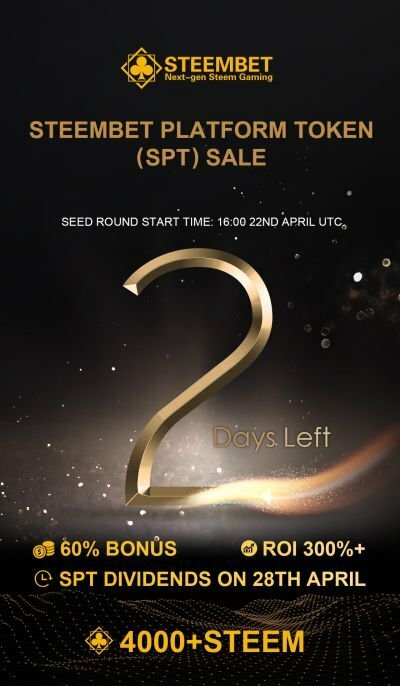 From this contest, I truly believe communities are the beauty of Steem blockchain. Beautiful comment, full of truth and showing how beautiful this platform has steemit, a great force of beautiful and hardworking people who together do their best work. We are all winners. Good vibe. Felicitaciones a toda la comunidad venezolana! En especial, al equipo de @votovzla. Con la colaboración de todos ustedes está meta no se hubiese podido lograr, demostramos que somos una de las comunidades más nutridas de la plataforma, este premio es a la constancia y el esfuerzo! Felicitaciones al equipo motor, @enrique89, @cesar.oat, @angelica7, @mariichuy, @geadriana, @jauregui98, @sandra89, y a todos los que se me pasan, disculpen. Un abrazo para todos y seguimos contrayendo comunidad! Gracias a ti por el apoyo y las cosas que haces para que esta comunidad se multiplique. no importa de donde VIVAMOS que idioma hablemos, todos somos hermanos y iguales ante los ojos de DIOS espero que sigas haciendo cosas como esta y gracias. OMG YES! Thank you so much! It was a tough fight tho with all that awesome communities and projects til' the end, but now I'm really happy because this support is going to help a lot of people who really need it. Thank you so much @theycallmedan for this initiative! You're awesome! Congratulations for this nice project! Thank you all for the great work done all these days, it was an ants job, little by little, it was worth not sleeping and working as a team with the Hispanic and non-Hispanic communities, each one contributed a granite of love with their vote. More than the delegation, we won union and many wishes to work for the community in steemit. Everyone is welcome to the @votozla team. Humbly grateful to all those who participated in this contest, very valuable projects and that bring positive things: @SteemitBloggers, @Team-CN @Actifit @Crowdmind @Dsound @Freewritehouse @Qurator @Spunkeemonkee @SteemitBloggers @SteemNurse Our respect and best wishes for all of you. Sincere thanks to @theycallmedan for this opportunity and the contribution with the delegation, but more for the idea that produced this contest, behind it there was a work of union, were days of hard work, emotions, joys, songs, healing and about all love. May success always be with you, and you are invited to your home @votovzla when you want to talk and get to know us as a community. Good wishes for everyone and good vibes. Humildemente agradecida a todos los que participaron en este concurso, proyectos muy valiosos y que aportan cosas positivas: @SteemitBloggers, @Team-CN @Actifit @Crowdmind @Dsound @Freewritehouse @Qurator @Spunkeemonkee @SteemitBloggers @SteemNurse Nuestros respeto y mejores deseos para todos ustedes. Sinceras gracias a @theycallmedan por esta oportunidad y el aporte con la delegación, pero más por la idea que produjo este concurso, detras de él hubo un trabajo de unión, fueron dias de mucho trabajo, de emociones, alegrias, canciones, curaciones y sobre todo amor. Que el éxito siempre te acompañe, y estas invitado a tu casa @votovzla cuando desees hablar y conocernos como comunidad. Buenos deseos para todos y buena vibra. Thanks for your comment, I'm delighted to meet you. This contest allowed me to meet other great projects like yours that are very interesting and I want to congratulate you for your constant work. I think the same as you, this contest revived the links with this beautiful steemit platform, we can only enjoy what we do and keep us with many animos. @Freewritehouse want you to know that @votovzla has friends. Maybe you want to join us! Although I am not part of any of the participating groups, I will say that it was amazing to see so much of the otherwise somewhat "sleepy" Steemit community be galvanized into action like this. So even though a big congratulations to team @votovzla, also a big congratulations to you, @theycallmedan for coming up with something that inspired so many people to get involved with so much passion and energy! Congratulations to the winners and big thanks for holding this contest!!! Dan, Thanks for the opportunity ! Congratulations @votovzla! You just pipped us at the post in a last minute nail biter! Great race all round! It was fun but a little bit exhausting! Also, thanks to @theycallmedan for lighting the fire under our butts! I hope you can know all the huge work they have been doing. ¡Mis Felicitaciones al equipo ganador! chamo tu estas en todo no? What an exciting contest and great results. We really enjoyed it @steemitbloggers pulling together as a team. Great selection by the community to chose a wel deserved and needed one for the benefit of the many Steemians that seek support for their wellbeing and family given the challenges and adversity experienced there! It was really a great contest! I couldn't wait to see who would win the contest, really great ontest indeed dan. Thank you @theycallmedan for supporting Steem in this way. Each community is wonderful, great work @SteemitBloggers and @Team-CN. Many congratulations @votovzla, it has been shown that we are a great community. Como dirían por acá, medio ñame. Felicitaciones @votovzla. How nice to see you here, a hug and you are welcome whenever you want to our community. Congratulations team for winning the 10k delegation keep working and keep growing. Congrats @votovzla! And thank you @theycallmedan for putting such a wonderful prize out. I'm proud to be a part of the @steemitbloggers/#powerhousecreatives community, but this poll showed those community lines know no bounds when we all put our heart and minds together! Congratulations to everybody who participated. Thats the power of steem.